In this era of online marketing gimmicks, looking for “free cell phone spy software apps” is to be overly ambitious. It is like chasing the wind. It will only lead you to a cul-de-sac; a dead-end. But even worse, these offers hide possibly dangerous scams or viruses! 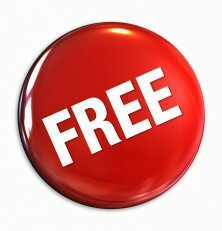 There is definitely no such thing as “free spy software products”. You are most likely being scammed or simply being misled at best. You could luckily find a handful of free programs that offer to track and monitor but most will not work or be completely fake. Why Do Scammers Do This? Many of use start searching for software tools we need on Google or similar search engines and it is just a natural thing to verify if free versions are available. Unfortunately, many eye-catching results will pop-up offering the impossible. And in a knee-jerk reaction, you swallow hook, line and sinker and gladly click the link – predisposing yourself to scammers. Because they cannot court your attention genuinely, they resort to taking advantage of unsuspecting visitors with “free spy and tracking apps” that really serve a hidden purpose to profit the perpetrators. Some even promise things like easy setup and “remote installations”, which are not possible or even legal and should be a clear warning of a fraudulent website. In the end, you risk getting scammed or infecting your computers and devices with dangerous malware. Many times, the free program will be a sort of demo with restricted features, pushing you to pay for a paid version of the software, but they leave much to desire, offer no support still remain possibly fraudulent and risky. The fact that they market their product in such a way is a huge red flag to stay away and never provide any billing details. The service might offer impossible services like remote installation of the app on any device. This is not possible, and although a very sophisticated hacker – “cracker” would possibly be able to do some similar feats, no software available for free or for sale can actually offer this. This is a sure sign that you are dealing with a fraudulent product, and to always be avoided. They often request for credit card information for “age verification purposes” but months later, fraudulent charges may appear on your monthly invoice. Other fake free services pose a greater risk, being hidden viruses that will infiltrate your personal details and log your passwords. The service will require you to participate in one or more surveys, or sign up for other “free” or paid offers in order to finally get a download link. The website will usually be plagued of fake customer testimonials and reviews, but if you search on the web, you will most likely find scam alerts ranking high in the results. It only takes a few moments to verify a product’s legitimacy these days, and everyone should do it for their own sake. The service will offer a long list of features without any special requirements such as rooting for androids or jailbreaking for iDevices. With the exception of mSpy’s or Mobistealth’s iCloud solution, Jailbreaking your iDevice is always required in order to install spy apps. Although rooting your Android is not required for basic features, most advanced functions don’t work without it. Learn more on how to jailbreak here, or to my rooting article if you are an Android user. Here is a service offering the impossible. No need to have access to target phone, start tracking by pairing the 2 devices. This is totally false, and impossible. Next, we can see how they ask you to complete a couple of surveys and offers. This leads nowhere, and you have just given up your name and likely opted in with your real email. These offers only end up in adding you to spam lists and never provide any service. These sorts of tactics work every so often on us because we all love free things. It is very hard for you to resist clicking on a link offering free spy monitoring software. Even when you deeply know that it sounds too good to be true you still go ahead and download it. It becomes important to be vigilant on the internet and not blindly trust unknown sources. This is why review sites and blogs like this one exist. We have tested each reviewed service and only display products that have a minimum qualification in order to help you find a choice you won’t regret. Virtually all of the good cell phone spy software we have tested is sold using monthly to yearly paid subscription plans. They offer varied plans at lower to higher price points, by removing some features on the cheaper plans. This has become the norm, and is necessary for these vendors to remain profitable. The companies need to run servers capable of continuously backing up the data of hundreds of thousands, even millions of cell phones. They also have to provide phone, email, and chat support to their client base. All of this cannot be done for free, and be trustworthy and dependable. Would you trust a stranger with the data on your personal cell phone, or your children’s? It’s important to choose a company that you believe will keep you data safe guarded. You can learn more on this complete cell phone tracking software guide. One time payment offers should also be questioned. Just like free offers, a one time payment of $50 or $100 for lifetime service is not sustainable. However, I did not approach these services with a closed mind. I tested each one hoping to find a legitimate service that I could trust, and that actually worked properly. Unfortunately, I found similar concerns with the handling of private data collected from the cell phones, and the services never worked as advertised. Most onetime payment options which I advise against come from a single company, offering services such as Highster Mobile. Many of our top rated services offer free trials, demos or money-back guarantees that ensure you won’t end up robbed of your hard earned money. Let’s face it, these types of tracking services do not come cheap. They require highly skilled software development and support teams that can continuously update the tools to keep up with the fast changing mobile and cellphone market. Now that you have been warned, there’s no such thing as free spy apps and you cannot install monitoring software remotely without physical access to the phone, so don’t fall for those and instead have a look around our spy app reviews to find the best solution to your needs.